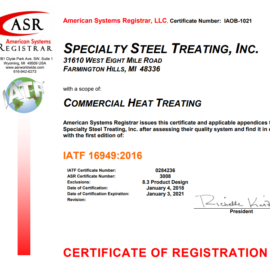 SST is an ISO certified metal and steel heat treatment company. 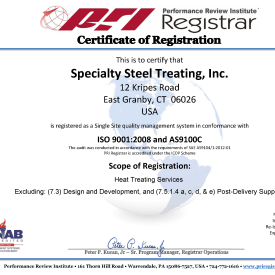 We have specialized and provided steel heat treating services for over 60 years. We provide a variety of services including: carburizing, quenching, vacuum heat treatments, and tempering. 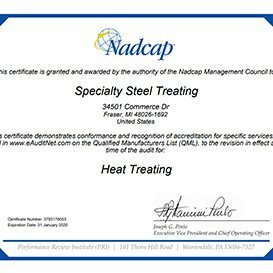 Heat treatment uses extreme cold and hot temperatures to create a specific amount of hardening or softening of a material. The specialty heat treatments that we provide have numerous benefits. For example, vacuum heat treatment is one of the safer steel heat treating methods. 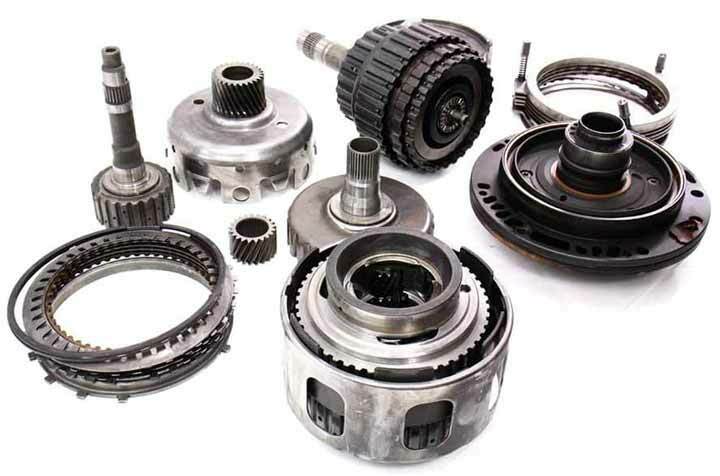 SST services numerous industries including but not limited to aerospace, rail, and automotive. 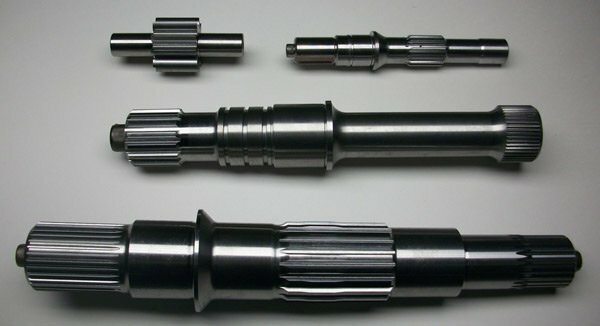 We manufacture difficult aerospace part configurations with precision. We have worked with the automotive industry since the 70s. You can trust that you are getting high-quality automotive products from us. Our Case Application processes increase strength and wear resistance by diffusing carbon, through a number of different methods, into the surface of steel parts. 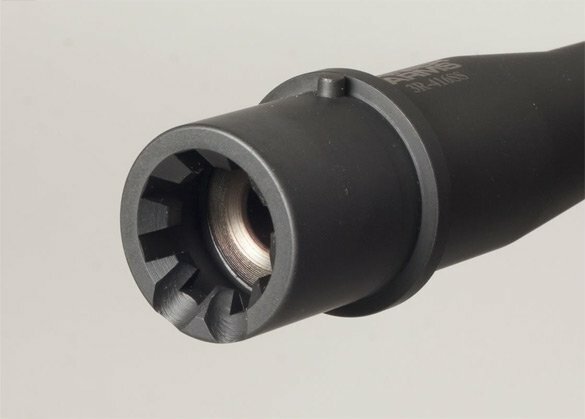 This creates a casing around the material while retaining a substantially lesser hardness inside the core. At SST, we’re experts when it comes to heat treatments such as this. 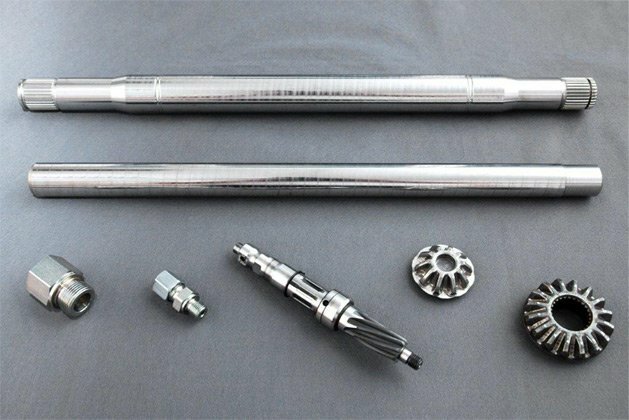 These intricate processes are applied to low carbon steel parts after machining, as well as high alloy steel bearings, gears and other crucial components. Find out more about how our Case Application heat treating can benefit your business. Our quenching heat treatments will result in a guaranteed improvement of the mechanical properties of your products, as well as an increase in their level of toughness—making these items more durable. 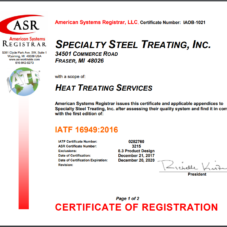 Steel parts often require a specific form of heat treatment to obtain an increase in hardness and strength. And at SST, we are highly-trained in these processes. During a quenching heat treatment, the material is heated up to suitable temperatures and then quenched in oil to fully harden, varying on the kind of steel being worked on. Items that go through this are then aged, tempered or stress relieved to achieve the desired stability. Our vacuum heat treatment services are one of the best processes available. Vacuum heat treating is when metal parts are exposed to temperatures of heat in order to change their properties. A hard or partial pressure vacuum austenitizes steel parts. This protects the surface of the parts during this operation. These processes allow for shorter carburizing cycles, a reduction in overall processing time and smaller gas consumption. There are numerous treatments involving our vacuum processes that we use. These treatments achieve higher strength, better wear resistance and improve the corrosion behavior of the subjected material. At SST, our treatments offer the best protection against oxidation while remaining extremely cost-efficient. Learn more about our vacuum heat treatment services. Serving a variety of industry sectors, SST offers a number of Secondary processing services, including deep freezing, tempering, annealing, stress relieving, and the use of cryogenics. All of these methods account for an increase in material hardness and toughness, wear resistance and malleability. 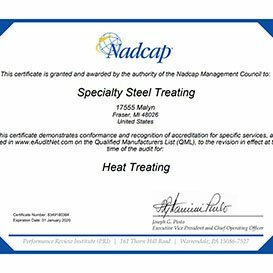 Capable of performing all of these services and more, we’re pleased to accommodate your Secondary heat treating servicing needs. 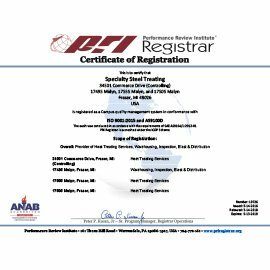 To learn more about these select services, contact SST today. Our mission is to exceed our customer’s expectations in regards to quality. 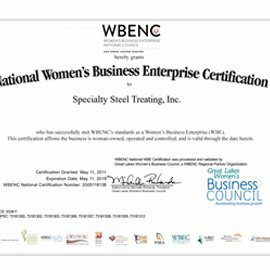 View our certifications below, or contact us to find out which solution is right for your business.